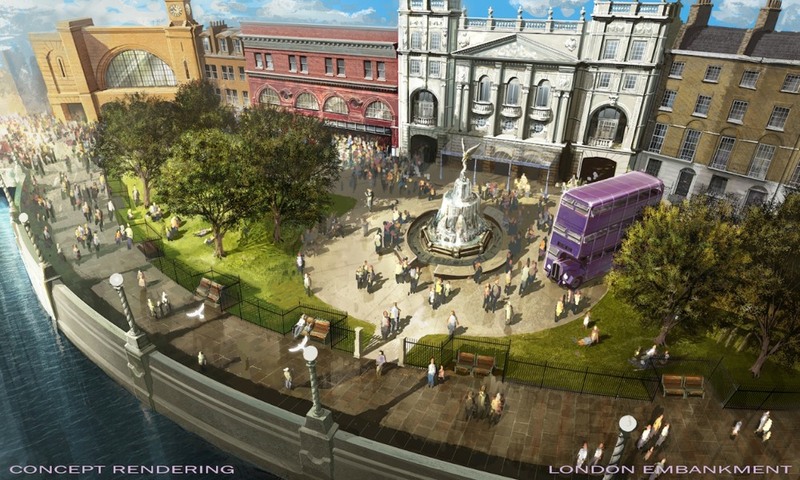 Here’s What You Can Expect From the Wizarding World of Harry Potter Diagon Alley Expansion! 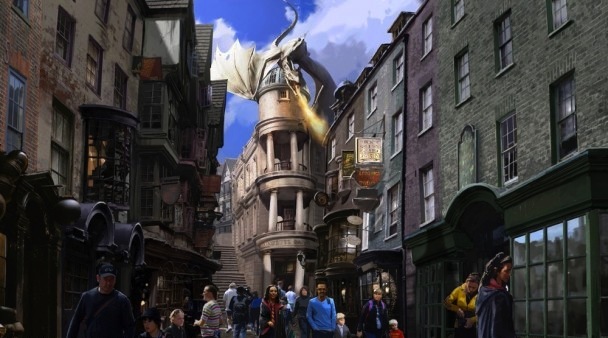 In case you missed all our other posts about the topic, the Wizarding World of Harry Potter is being expanded to include the shops and experiences of Diagon Alley! Meaning more roller coasters, dragons, a working Hogwart’s Express, more places to shop and more places to eat! First up the park is getting a new ride which Universal is saying is even better than the fabulous Harry Potter and the Forbidden Journey, specifically the family fun ride: Harry Potter and the Escape from Gringotts. You know, because Gringotts is basically a roller coaster already. The first things visitors will see in Diagon Alley is the Knight Bus, before passing through a brick wall and into the expansion. 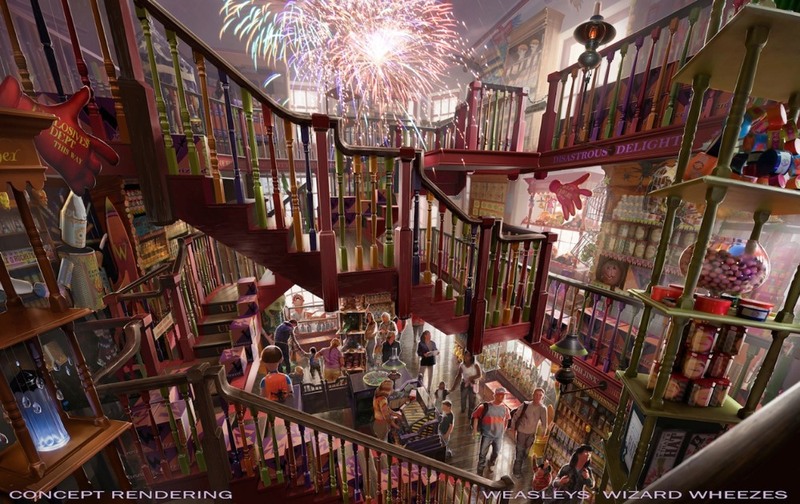 New stores include: Weasleys’ Wizard Wheezes (joke shop), Madam Malkin’s Robes for All Occasions (clothing and costumes), Magical Menagerie (stuffed animals), Wiseacre’s Wizarding Equipment (wizarding essentials), Quality Quidditch Supplies (do we really have to explain this? 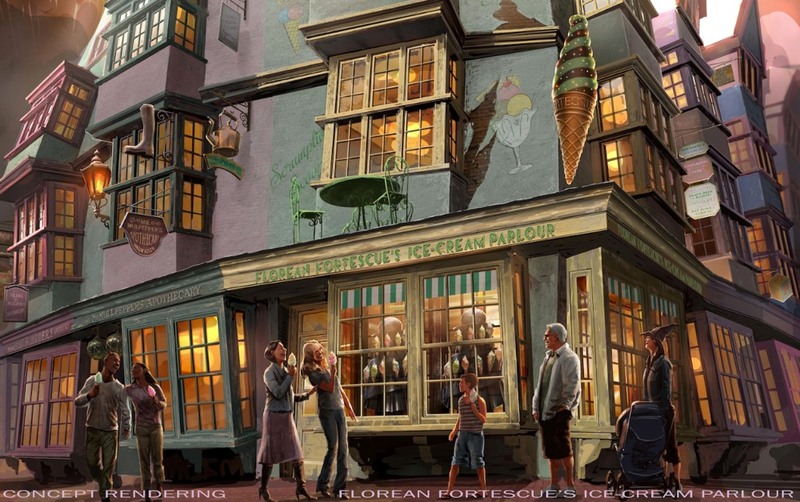 ), Scribbulus (writing instruments) and Florean Fortescue’s Ice-Cream Parlour (again, really?). Even more exciting, they are actually building a Knockturn Alley complete with Borgin and Burkes, for all your Dark Arts needs! There’s also a working Hogwart’s Express which is said to take you from park to park, although it doesn’t say which parks. 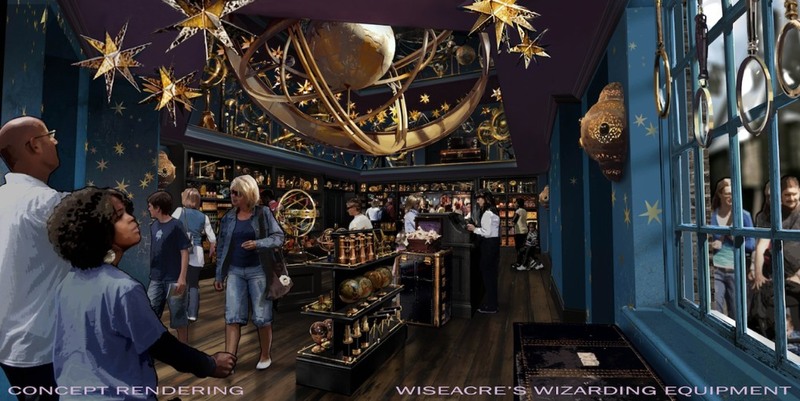 As for the existing Hogsmeade section, Honeydukes will be expanding and the park will be removing Zonkos because who needs that when the Weasley’s have their own joke shop? “Girl Who Would Be King” Author Kelly Thompson Has a New Book Called “Storykiller” That Needs to Be Kickstarted! I WANT TO BE THERE NOW PLZ. I’m just glad they’re adding more shops that have stuff you can actually buy! And having each shop sell particular items is fun and clever. Last time we went, all the shops had all the same stuff. Like they were all wizard Target. 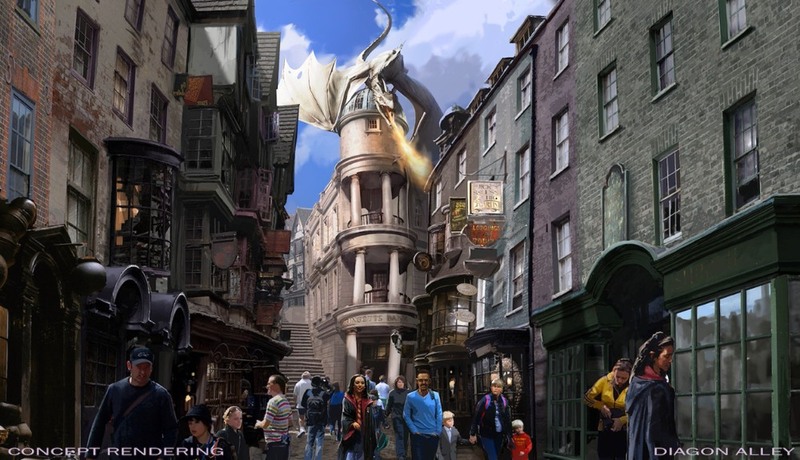 I’m very excited to see the next letter you send Universal about how to make their Diagon Alley more accurate! Exciting news! 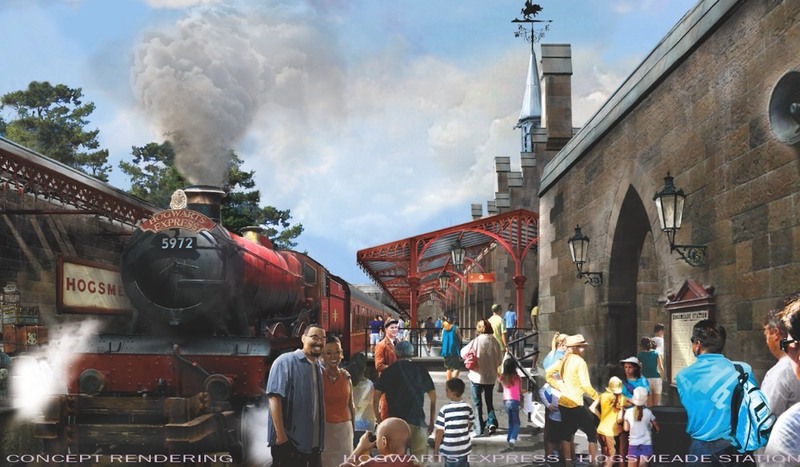 Though I bet they would charge way extra just to board the Hogwarts Express to get to diagon alley. I’m still confused with how the train is going to work, because the description said it would take you park to park if you had a park to park ticket. But it didn’t say which parks they meant. Is there a Florida park? Thought they mentioned something like that in the video. This is the Florida park, it’s inside Universal’s Islands of Adventure. I guess it could take you from the Islands of Adventure to the regular Universal theme park?